With only two months left of 2016, it’s high time to decide the details for internships in 2017. The two most important questions to answer when you decide to intern abroad are always what? and where? Regardless of where you go, your experience will be intricately shaped by the culture where you will be living and working. Therefore, it will definitely pay off to do a bit of research on your host country before you head out! To help you figure it out, we’ve compiled a list of the top ten hottest internship locations to be in the next year. Consistently rated as a top destination for package tourists and backpackers alike, Thailand also offers exciting new business-related internships in Bangkok – the world’s most visited city. While the whole of the country will still be in mourning after the death of their king, life – and business – will still be going on. And of course, Thailand wouldn’t be Thailand without its famous islands and beaches! Head on over to Koh Samui, Koh Phangan or Koh Lanta for internships with an island vibe. Exciting opportunities to live and work in the Latin American powerhouse Buenos Aires makes Argentina a popular choice for many young professionals eager to intern and perfect their Spanish. Dubbed the Paris of South America, this fascinating city serves up not just scrumptious food but beautiful architecture, an active nightlife and eclectic art scene. Oh, and they have some pretty impressive ice cream too! The only English-speaking Central American country, Belize offers astounding biodiversity for interns pursuing a wildlife conservation career. Truly a blend of cultures shaped over centuries, there are countless experiences to be had in Belize, from visiting Mayan ruins and jungles to trekking, fishing, diving and more. With its laid-back vibe and year-round perfect climate, it’s hard to get disappointed in Belize! It’s one of the most popular destinations in Central America thanks to its famously friendly people and unparalleled biodiversity. It’s also the country most famous for its ‘Pura Vida’ approach to life. Essentially, it’s means you’d be hard pressed to find any other place on earth where people so transparently enjoy life, no matter what your situation. For this reason alone, it’s worth a visit. For interns seeking an intriguing destination truly off the beaten path, Mongolia offers a fascinating insight into a deeply traditional culture as it transitions into a modern society. Decidedly not the easiest country to travel to or in, visitors trying to come up with a description for Mongolia mostly land on just one word – epic. Students of Medicine and Journalism looking for an alternative internship – this is it. The top choice for human rights interns, Tanzania offers an incredibly rich culture, stunning landscapes, and challenging development issues. Your most pressing problem will likely be finding time for all the amazing experiences this vibrant country has to offer, from climbing Kilimanjaro, to spotting wildlife and taking in the spicy aromas and oceans vistas on Zanzibar. Making inroads into renewable energy development, Nicaragua is rapidly gaining popularity as both a tourist and volunteer-abroad destination. 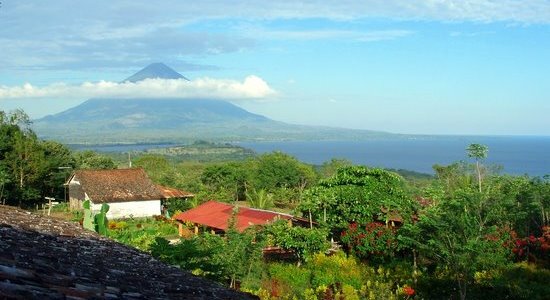 Having long been overlooked in favour of more easily accessible neighbours, Nicaragua is quickly becoming the next Latin American hotspot, with more and more visitors flocking to visit the countless volcanos, explore impossibly picturesque colonial towns and marvel at the vast expanses of untouched nature. Get in before the crowds do – book your project today! Against a complex cultural backdrop, interns arriving in Cambodia are amazed by the warm welcome and possibilities to make a much-needed impact in local communities. Of course, no visit to Cambodia is complete without visiting the famous temples of Angkor, but any responsible visitor should also make time to learn about the dark chapter of the Khmer Rouge and their terrible mark on history. Armed with this knowledge, you’ll marvel all the more at the ever-ready smiles of the Cambodian people, the lush beaches and the palpable lust for life. As one of the oldest civilizations on the planet, China continues to attract international volunteers looking learn more about this enigmatic culture. While teaching English is the most popular among those choosing to volunteer in China, there are many other ways in which you can help out while learning new skills, such as Tai Chi training and Panda Conservation. With a rich culture of social community work and internships, Brazil is a fantastic destination for interns interested in community development, wildlife conservation, and medicine. After successfully hosted the 2014 FIFA World Cup, 2016 Olympics and Paralympic Games in Rio de Janeiro, the country is set to continue to be a red-hot travel destination for both tourists, interns, and volunteers looking to experience the home of futbal and samba. Prepare to be dazzled! Global Nomadic offers 50+ Professional Internships, Volunteer Projects and TEFL Programmes in 30 countries worldwide. We told you what the top ten destinations are for internships in 2017, why not check out the rest for yourself? Can travel heal our fearful world?